If you've ever pondered how to go about purging an entire country of its demons, wonder no more. Mexico did just that this past May, when a group of Catholic priests gathered together at the Cathedral of San Luis Potosito - a major Catholic landmark built between 1670 and 1730 - to perform a group exorcism for that very purpose. Led by Cardinals and performed with the blessing of Pope Francis, the aim of the group exorcism was to reduce the death toll that has accompanied the Mexican government's war on drugs and the country's major drug cartels. Troubles with the drug cartels have been ongoing and intractable, so if a group exorcism could help drive the demons out, then why not give it a try. We couldn't help but think about how on a much lower scale, emails and text messaging have been driving traditional telephone communications out of many major companies and banks. Faced with the need to cut costs wherever possible, coupled with the reality that few customers even bother leaving voicemails these days, some of the banking industry's largest players have joined the ranks of major companies like Coca-Cola (which nixed voicemail in late 2014) by eliminating voicemail from the portions of their organizations where the feature is no longer necessary. JPMorgan Chase (JPM) recently announced that it has begun eliminating voicemail accounts for employees who do not interact with customers. The bank has already begun cutting voicemail accounts within its consumer and community banking unit for individuals who are in supporting roles involving operations and technology. Given a cost of roughly $120 per year for each employee, JPM's consumer and community banking unit alone will save an annual $3.2mm. That's real money, and now its investment banking division is planning to follow suit by cutting roughly 30,000 accounts, with savings of another $5mm. Instead of individual voicemail, anyone who places a call to employees within these groups will be greeted by a blanket message indicating that the person they are trying to reach is unavailable and asking that they try calling back. While JPM is the first major bank to begin eliminating voicemail, it is unlikely it will be alone for long. Other major banks such as Bank of America and Citigroup have also begun looking at the cost savings eliminating voicemail would mean for their organizations. 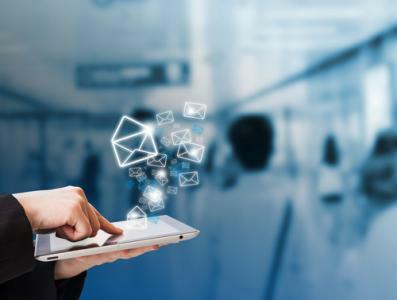 Given that the public at large is increasingly reliant on emails and text messages as their primary forms of communication, it will become harder and harder for big organizations to justify the cost of voicemail accounts that get little use. This is especially true when you consider most people under 30 don't even bother to listen to voicemail messages left for them and instead use the caller ID on their phones to see the name and phone number of the person who has tried to reach them before deciding whether or not to call them back. The good news right now is that by eliminating voicemail, these large banks are likely to frustrate customers whose inquiry ends up in a dead-end mailbox. Most people pick up the phone to call if they have a question that is outside the standard set of answers. Almost everyone has endured annoying computerized voicemail systems, with it practically impossible to find the person you need if you don't already know their name and extension. All of this can spell opportunity for a community bank. So think twice before considering voicemail a demon to be exorcised, unless your support staff is large enough to justify eliminating its voicemail. Be certain every customer phone inquiry is answered, even if each individual employee doesn't have a voicemail box. Beyond that, have text and email messaging available for customers who prefer it, positioning your bank for the future, while providing customer service at every level. Treasury yields dropped 4 to 6bps as oil prices fell into bear market territory and Chinese stocks plummeted. Housing Prices and Consumer Confidence will be released, and the Fed begins a two-day meeting. 1) Planters Bank & Trust Company ($855mm, MS) will acquire Covenant Bank ($222mm, MS) for an undisclosed sum. 2) First Financial Bank ($7.3B, OH) will acquire Oak Street Holdings ($242mm, IN) for $110mm in cash. Oak Street makes commission-based loans to insurance agents and brokers. 3) Independent Bank ($4.3B, TX) will acquire Grand Bank ($576mm, TX) for $80.1mm in cash (30%) and stock (70%). Community bankers looking at potentially buying branches or expanding their footprint should note Starbucks just reported it processed 20% of its sales through its mobile app, 200% more than just 2Ys ago. The latest JD Power survey of retail banking satisfaction finds usage declined 7% to 65% (from 70%) in 2014, as use of cash declined and the role of mobile as a banking tool increased. A Deloitte report on middle market company perspectives finds these companies say their main growth strategy over the next 12 months are: growing existing markets organically (36%); development of new products and services (15%); strategic alliances and collaborative projects (13%) and M&A (12%). A Deloitte report on middle market company perspectives finds 70% say their companies generate revenue outside the US today. This could be a good opportunity for community banks to generate foreign exchange fees, so give us a call if you want to know more about developing these business lines. The IMF reports non-banks now account for more than 70% of US financial sector assets. FDIC data shows that from 2007 to 2014: the total number of institutions declined 23% (8,354 vs. 6,509); CRE lending increased 19%; C&I increased 19%; Construction lending declined 62% and Single family residential lending fell 18%. Meanwhile, deposits increased 40% ($8.4T vs. $11.8T).